If were having coffee, I’d tell you that I’ve been posting a lot here although I’ve been ill. First, a low grade fever and then a very bad body ache. I that it’s all symptomatic of emotional turmoil that I’m going through. But I’m not going to dwell on that today. Rather, I’d love to tell you that I enjoyed looking at little plants starting to grow in the wet weather we’re having, doves walking about (Lucky attempts to catch them! ), lots of yellow butterflies, rain lilies and these toad stools that have sprung up in our backyard. 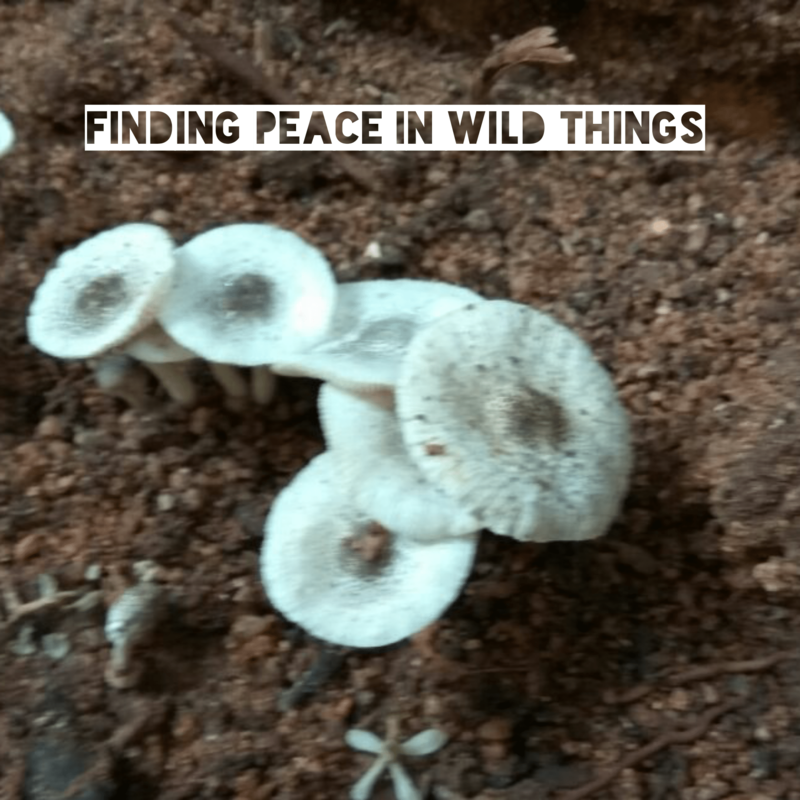 Yes, I’m finding peace in wild things. Corinne I do hope your fever and body ache has gone…..and glad you found the peace you were seeking. You said it. Every time I have a disturbed sleep, I wake up and go to my balcony which has a swing. I just sit there listen to the sounds of the night and make my peace. It’s interesting how the mind calms down when we’re in a silent atmosphere. Corinne, I guess when we are feeling down and out, stopping by and smelling the flowers and appreciating the little wonders of the universe, makes all the difference. The wild things make this world a real treasure. Yes, they do, Alice. Thanks for stopping by.